A deal by startup Artemis Networks to provide test deployments of its pCell wireless networking technology to select Tier 1 phone-network customers of telecom equipment giant Nokia Networks is both a “coming out party” as well as a significant shift in the Artemis business strategy, from a consumer and end-user focus to a wholesale, business-to-business plan. Instead of operating its own network as originally planned and selling access to consumers, Perlman said Artemis will sell LTE capacity wholesale to any interested network provider as soon as the now-approved network is completed. Artemis, which obtained a lease of spectrum from satellite provider DISH, is now setting up antennas on 58 rooftops in San Francisco, Perlman said, after finally getting FCC approval for its plans a little later than expected. And instead of having to outsource or build its own customer-facing signup, billing and other back-end systems, the 12-person Artemis will instead sell capacity on its San Francisco network to any interested provider. According to Perlman, there are customers ready to buy, even though none are yet named. Potential customers could include MVNOs (mobile virtual network operators) like TracPhone, who don’t own their own networks, or other larger providers looking for roaming capacity or cheap LTE in the crowded city by the Bay. On the networking gear sales side, Perlman said that teaming up with a big equipment provider like Nokia was a necessity to get any traction in the world of LTE cellular networks. As we said before, though pCell’s projected promise of using cellular interference to produce targeted, powerful cellular connectivity could be a boon to builders of large public-venue networks like those found in sports stadiums, owners and operators of those venues are loath to build expensive networks on untested, unproven technology. And big metro wireless providers are even more so. “We had a lot of Tier 1 operators tell us ‘we love this [pCell technology], we really need this, but we’re not buying from a 12-person startup,’ ” said Perlman. So even while Artemis’ radio technology — which promises huge leaps in performance compared to current gear — was attractive, the company’s lack of any kind of integration with the boring but necessary part of telecom infrastructure, including billing and authentication systems, held it back, Perlman said. “We were told we could get things done more instantly if we partnered with a large infrastructure company,” Perlman said. And while real customers from the Nokia deal will probably surface first in a stadium or other large public venue — since such a deployment would be easier to test and install than a new metro network — one team that won’t be using pCell technology any time soon is VenueNext, the app provider for the San Francisco 49ers’ Levi’s Stadium. Though VenueNext was publicly listed as a testing partner last spring, VenueNext has not commented on any results of any testing, and according to multiple sources there was no testing of Artemis equipment at Levi’s Stadium this summer. Though it develops the application and backend systems only, VenueNext does need to work closely with equipment providers, like Aruba Networks at Levi’s Stadium, to integrate its app functionality with the network. Perlman, who also confirmed there was nothing brewing anymore with VenueNext (“but we’re still friends with VenueNext”), said the app developer also preferred to work with a larger-size developer than the short-bench Artemis. VenueNext, which recently announced the NBA’s Orlando Magic as its second stadium-app customer, has said publicly it would announce an additional 29 new customers before the end of the calendar year. 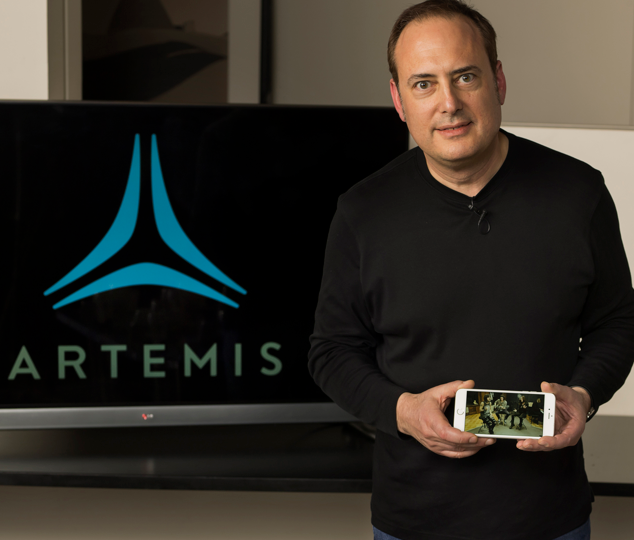 “We [Artemis] could probably go and do one stadium,” said Perlman about his company’s deployment abilities. 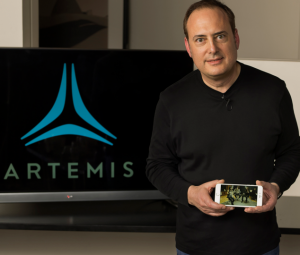 And while the main business for Artemis out of the gate will probably be in adding capacity to LTE networks that are running out of spectrum, Perlman said that having Wi-Fi support built into the pCell equipment could make the technology attractive to venues who need or want to bring Wi-Fi services to fans. The Wi-Fi version of pCell technology was also an after-the-fact idea that surfaced after the original pCell announcements. What’s yet unknown is how the ongoing acquisition of Alcatel-Lucent by Nokia may affect any potential pCell deployments. 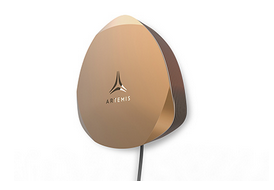 In the best possible scenario for Artemis, the acquisition could provide more entry points if the pCell technology gets integrated with Alcatel-Lucent telecom gear.